Shortly described, it has all the same characters as getting in to Berghain. And coming to that point, it is as possible to write an ultimate guide to find an apartment in Berlin as it is possible to write an ultimate guide about how to get into Berghain. You know, just does not work. Nevertheless, one can always try. So, you landed or you are planning to land into Berlin and find an apartment. First of all, do you have lots of money? If yes, great. Then you can probably find an above-the-market price flat and be happy with it. For the rest, welcome to the jungle. As I feel I have been rather lucky when finding all the four apartments where I have lived during the past 2,5 years and seen numerous succesful apartment hunts, I would like to share some tips and tricks. You need to be willing to build up your reputation. Regarding number one. If you can speak German, things tend to get easier. Or the other way round: If you don’t, everything can be slightly bit more complicated. Try at least, or if you really can’t, find a friend who speaks German. http://www.wggesucht.de/ WG’s (shared apartments), but also other options, mostly short-term sublet. http://www.immobilienscout24.de/ every kind of apartments. When looking here, think if you are willing to pay “Provision” (commission) which is often something like 2,38 x the monthly “cold rent” for the apartment. After surfing this sites, you probably found out, that in general, WG-rooms are easier to find than studio apartments or small 2-rooms. And that even WG-rooms are nowadays much, much more expensive than you imagined. Rent is devided to Kalt- and Warmmiete, meaning cold and warm. You need to pay the warm one. Unfurnished can mean really unfurnished, meaning that there is not even an oven in the kitchen. So, if you are moving just for a short term, subletting is probably your thing. There are still apartments out there you heat with fireplaces and coal. I would keep away from those. “Provision” means comission for an agency, normally 2,38 x the monthly cold rent. You won’t get it back. hen looking for an apartment and writing for the landlord. Then, let’s write the subletters and landlords! I strongly recommend, that you tell a little bit about yourself. What’s your name, why you moved to Berlin, where you work if so, what are you hobbies… Might sound trivial, but for example my current landlord had received 60 inquiries for a viewing in just two days and she actually decided to show the apartment for just six people, so… Sometimes the first step is really to get to the viewing! Especially when viewing WG’s, I really recommend you to be honest enough. You don’t want to land to a WG where you do not fit in. Some people expect you to share your food with them, some are vegetarian- or vegan only (they don’t allow you even bring animal-based products to the household), some are up to parties and some rather not, and I think you don’t want to start fighting about these first you are in. But great, hopefully you are now professional in filtering the apartments, got some notifications about new apartments regarding your search, wrote the subletters within a couple of hours and got some viewings. Then, already before the first viewing, better prepare your papers. It might be, that the viewing is not exclusively for you, and if there are others, you can be sure they will hand all the needed papers immediately. Schufa – this is where it gets difficult. It is kind of credit statement, and you can get it first after you have been some time in Germany and have sime kind of record of bank accounts etc. Because of this exact paper it is sometimes better to build up your reputation for a while, meaning moving to an apartment which doesn’t require schufa so that you can move to one where it is needed later. I hope you are neatly dressed, not hangoverish, you know… All the basic stuff, of course. In the viewing it is worth really carefully checking the apartment, asking if the kitchen will stay for you, checking if there is mold in the bathroom etc etc. If it is WG, you can find out really interesting things, like in one viewing that the rent was calculated so that the kitchen wouldn’t have any heating during the winter and also the other of the two subletted rooms just around +15 C. I was not interested after that. Anyways, it is very much worth actually talking to the people who are showing the apartment. You should remember, that you are probably not the only person who wants the apartment, and they can pick an choose. So even though the apartment would be wonderful, don’t just run around it, scream I want this and run away. 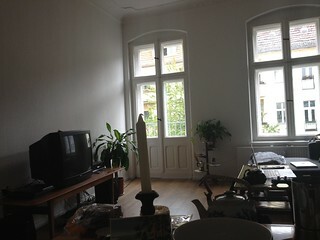 I found my very first apartment in Berlin accidentally by writing to a Berlin-themed blog, thanking the blogger about the tips to find an apartment. My first landlord was an other blog-reader and contacted me after seeing that message. For my third apartment, I prepared a short cover letter about the persons willing to move in, with pictures and hobbies. Apparantely worked well. For my current apartment, I was very honest about my lifestyle: I would wake up around six, leave for the gym around 6.30-7 am and work long hours so I appreciated her wish to have a rather peacefull home. My landlord seemed to like the idea and picked me. Then the special trick, this is my favorite and I am convinced it works! If you are a guy, it might be usefull to bring a girlfriend or a friend girl with you. Guys with nice friend girls (or girlfriends, let the subletter figure it out…) just seem so much more responsible than the ones without, that that might be just the small add you need to get the best flat available. In general, quite many apartments find the next move-ins through a friend or friend of a friend. Still, me or some of my friends have never had that positions, so no need to worry! Just keep looking! All in all, good luck! Posted in Uncategorized and tagged fitter in berlin. Bookmark the permalink. This guide was pleasant to read. I especially appreciated your note about bringing a lady friend to a showing. I am all too accustomed to the company of “men” who have little to no delicate sensibility for decency, put-together-edness, and most of all, gentleness. I do live in the US of America. Go figure. 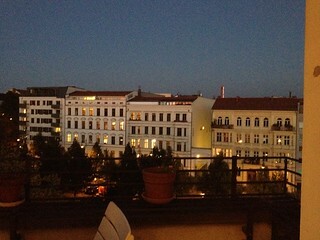 I look forward to someday renting an apartment in Berlin. How bout adding two balloons inside your shirt, blue contact lenses and bleaching your hair blonde?, will that due the trick? Thank you so much for this wonderful and clear article about finding apartments in Berlin! My boyfriend and I, both from different European countries are looking for a small studio in Berlin and it is indeed a challenge! The tips you gave, will hopefully lead us to the place we can call our home, very soon!! Thanks for this! I’m possibly moving to Germany from the US and was wondering how to make myself stand out. I’ll be sure to follow your advice and put together a short cover letter. This article is very useful and honest! I hope everybody will get the perfect flat. Stay positive!